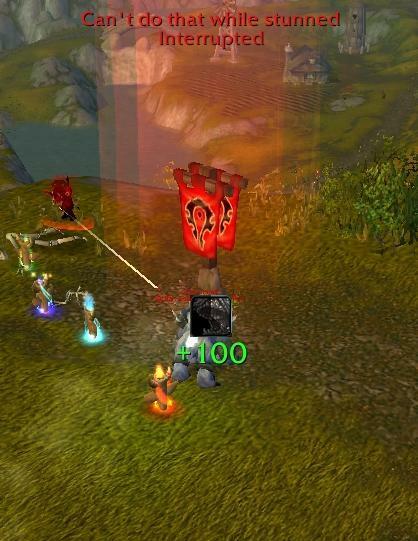 LoseControl makes it easy to see the duration of crowd control spells by displaying them in a dedicated icon onscreen. 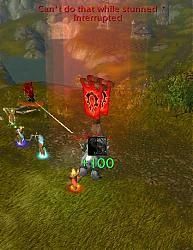 * Displays duration of all CC spells and abilities on your player, pet, target, focus, party, and arena enemy frames. * Automatically displays the most important buffs/debuffs first. * Integrates directly with Blizzard unit frames. * Icons can be moved, resized, and made transparent. * Unlocking frames does not show arena enemy frames if they are anchored to Blizzard frames (because they don't exist unless you're in an arena). * You can report issues here. * Improve OmniCC support to work with all strata levels. * Blizzard raid frames support. Re-added support for Perl, XPerl, and LUI unit frames. Improved the way unit frames register for events for better performance. Added text labels to unlocked frames. Added option to disable party icons while in battlegrounds. It is located on the "Party" options menu. Now matches on spellId instead of spell name. Removed older PvE content spells. UNIT_AURA events now only generate one update call total instead of one per unit frame. Party and Arena Enemy frame settings can be changed for all frames in the group simultaneously. Temporarily removed support for non-Blizzard unit frames. Fixed spellID for Hungering Cold. TOC bump for patch 4.2. Added Bad Manner (Hunter pet). Added Ring of Frost (Mage). Added Shadowsnare (Glyph of Shadowflame) (Warlock). Updated German translation (credit: Morbis). Updated Chinese translation (credit: ??). Updated Chinese translation (credit: fatalerror). Added Grounding Totem to spell immunities. Added Unstable Affliction silence (Warlock). Fixed Seal of Justice (Paladin). Updated for patch 4.0.1 compatibility. Fixed: Unlock option only shows enabled frames. Fixed bug on startup when updating settings from older version. Fixed possible bug with tracking options on non-English clients. Immunity tracking no longer tracks self. Fixed bug on startup when settings file doesn't exist. 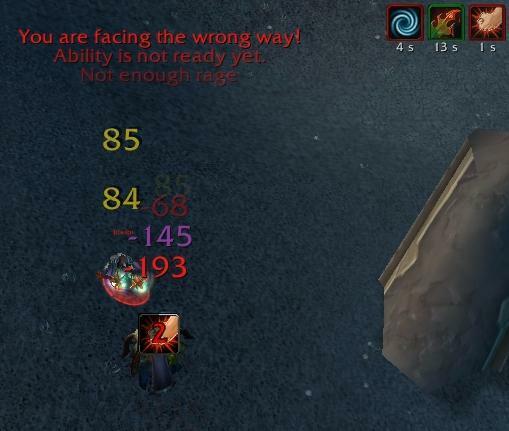 Fixed bug where a buff could appear as a debuff (Impact). Turned off immunity tracking by default (consumes less CPU time). Updated for patch 3.3 compatibility. Graceful upgrade from 3.22 (settings won't reset). Removed Improved Fire Nova Totem spell ID. Changed Target and Focus portrait frame references to match Blizzard's. Added immunity effect tracking (Bladestorm, Divine Shield, Ice Block, The Beast Within). Removed strata options (too buggy atm). Fixed frames not hiding at start. Changed versioning scheme to match WoW client's. Added Cobalt Frag Bomb to spell list. Added support for Perl and XPerl unit frames. Added arena enemy unit frame support. Fixed bug where debuff icons would sometimes not overlay the unit portrait correctly. Improved performance when unit frames are hidden. Added settings for individual frame strata. Fixed Wyvern Sting to no longer show dot effect. Fixed Freezing Trap not displaying. Added Nature's Fury (Freya) to PvE list. Added Mark of the Faceless (General Vezax) to PvE list. Fixed a bug with icons not hiding after changing targets/focus. Removed Psychic Horror disarm effect (horrify effect still remains). Better integration with the standard Blizzard UI. - Target, focus, and party icons will now display within their appropriate unit portrait. - Note: You can manually adjust their position to bring them out of the portrait. You should do this if you want to use LoseControl with non-standard UI frames. However, the only way to undo this is to reset LoseControl to its default settings. Consolidated all localization files into one for easier translation. Removed Min/Max debuff duration options. Glyph of Blood Boil is now Glyph of Heart Strike. Removed Improved Wing Clip root. Added Shield of the Templar silence. Added Psychic Horror (horror + disarm). Added Earthgrab root (Storm, Earth and Fire talent). Added Freeze root (Frozen Power talent). Added hunter pet abilities, Chilblains, Frost Grenades. Added minimum and maximum debuff duration options. Added random proc CCs (Impact, Blackout, etc). Added tracking for silence, disarm, root, and snare effects. Added slash commands to access the options menu. Settings saved per character instead of per account. Fixed bug with overlapping the same CC effect. Fixed bug with Wyvern Sting DOT component. Added option to disable CooldownCount/OmniCC text. Added Korean support (credit: sayclub). Added Chinese support (credit: ??). Added German, Spanish, French, and Russian support. Added Cower in Fear and Gnaw for Death Knights and removed Glyph of Frost Strike. Added a few fringe case spells like Turn Evil and Shackle Undead that can work on players under certain effects (i.e. Lichborne, Metamorphasis). Made frame movable, resizable, and added adjustable transparency. Options can be configured in the AddOns Interface Options. Unlocking frames does not show arena enemy frames if they are anchored to Blizzard frames (because they don't exist unless you're in an arena). love your addOn, I'm using it in my UI here. After years of inactivity (officially...), this addon returns to be active and updated, with the intention of continuing to maintain and improve it. Greetings. Last edited by millanzarreta : 08-19-18 at 11:26 PM. I modified this addon (again) to add some functionalities and add a lot of spells to spell list. Removed spell IDs that no longer exists. Last edited by millanzarreta : 11-17-16 at 11:35 PM. If you want to get rid of the out of date addon warning you need to manually edit the LoseControl.toc file (not supplied by me) and change "## Interface: 60000" to "## Interface: 70300"
Hopefully it works out for you, enjoy! Thanks a lot man, much appreciated! Last edited by hid : 08-22-16 at 09:36 PM. Hello, are you planning on updating this for 6.2 and past that? This is one of the most useful addons out there. It'd be a shame to let it just sit here outdated. Cheers. hey, can you add Masque support?